2017 Mercury 115 HP EFI 4 stroke MERCURY,,Mercury,115 HP EFI 4 stroke,115 HP EFI 4 stroke,Mercury 115 HP 4 stroke outboard motor. Mercury fourstrokes feature large displacement which increases torque for inproved performance and efficiency. Quick planing means more fun for skiers and tubers. Superior fuel efficiency across the powerband. Dual overhead cams deliver top-end speed to spare. More stainless steel, hard anodizing and an exclusive multistep paint process resist corrosion. Antidrainback oil system assures instant lubrication upon start-up. Set you engine speed as low as 650 RPM for extended trolling. Electronic Fuel Injection (EFI) design prevents engine hesitation and stalling. Three-year limited, factory-backed nondeclining warranty and a three year limited corrosion failure warranty. 2016 Mercury 115 HP EFI 4 stroke MERCURY,,Mercury,115 HP EFI 4 stroke,115 HP EFI 4 stroke,Mercury 115 HP 4 stroke outboard motor. Mercury fourstrokes feature large displacement which increases torque for inproved performance and efficiency. Quick planing means more fun for skiers and tubers. Superior fuel efficiency across the powerband. Dual overhead cams deliver top-end speed to spare. More stainless steel, hard anodizing and an exclusive multistep paint process resist corrosion. Antidrainback oil system assures instant lubrication upon start-up. Set you engine speed as low as 650 RPM for extended trolling. Electronic Fuel Injection (EFI) design prevents engine hesitation and stalling. Three-year limited, factory-backed nondeclining warranty and a three year limited corrosion failure warranty. 2016 Mercury Marine 115 hp FourStroke 2016 Mercury Marine 115 hp FourStroke The same lifetime maintenance-free valvetrain design found in our 150 FourStroke engines makes the 75-115hp FourStroke outboards incredibly durable.Mercurys world-renowned engineering team has packed incredible power into these lighter, compact four-cylinder single-overhead-cam engines. The 115hp weighs 20 pounds less than its closest four-stroke competitor, making it the worlds lightest low-emissions outboard in its power range. 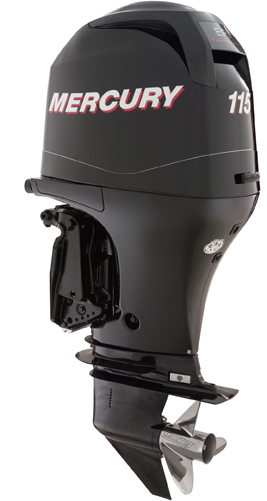 New 115ELPT 4 StrokeForget everything you know about four-stroke outboards. Ours change the game. Completely. 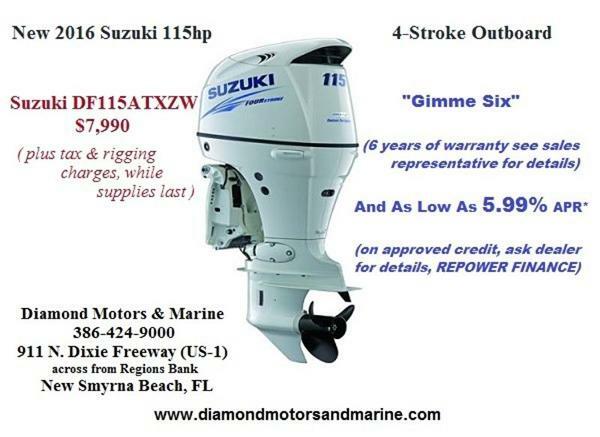 Theyre tougher, smaller, and lighter than any other four-stroke on the water. With a combination of performance and efficiency that will take your time on the water to a whole new level.FourStroke 75 - 115 hpEmbrace possibility. 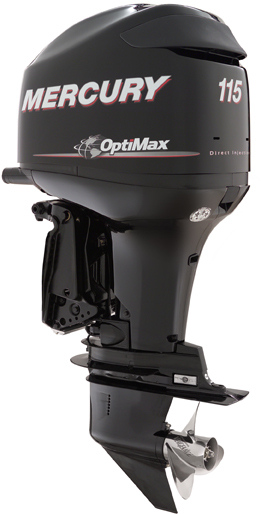 Adaptable, reliable, and able to outperform any outboard in its class. 2016 Mercury Marine 115 hp FourStroke CPO 2016 Mercury Marine 115 hp FourStroke CPO Certified Pre-Owned 115ELPT 4 StrokeCertified Pre-Owned - Comes with a full 1 year factory warranty. Forget everything you know about FourStroke outboards. Ours change the game. Completely. Theyre tougher, smaller, and lighter than any other FourStroke on the water. With a combination of performance and efficiency that will take your time on the water to a whole new level. FourStroke 75 - 115 hp Embrace possibility. 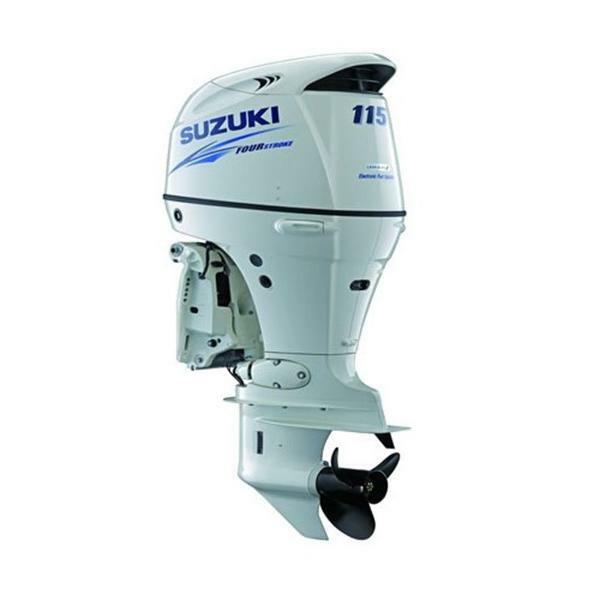 Adaptable, reliable, and able to outperform any outboard in its class. 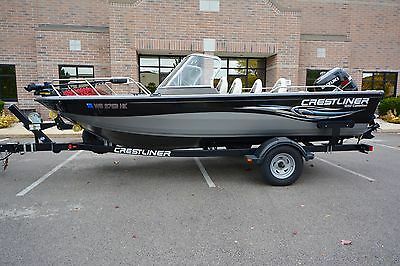 2015 Mercury 115 HP EFI 4 stroke MERCURY,,Mercury,115 HP EFI 4 stroke,115 HP EFI 4 stroke,Mercury 115 HP 4 stroke outboard motor. Mercury fourstrokes feature large displacement which increases torque for inproved performance and efficiency. Quick planing means more fun for skiers and tubers. Superior fuel efficiency across the powerband. Dual overhead cams deliver top-end speed to spare. More stainless steel, hard anodizing and an exclusive multistep paint process resist corrosion. Antidrainback oil system assures instant lubrication upon start-up. Set you engine speed as low as 650 RPM for extended trolling. Electronic Fuel Injection (EFI) design prevents engine hesitation and stalling. Three-year limited, factory-backed nondeclining warranty and a three year limited corrosion failure warranty. 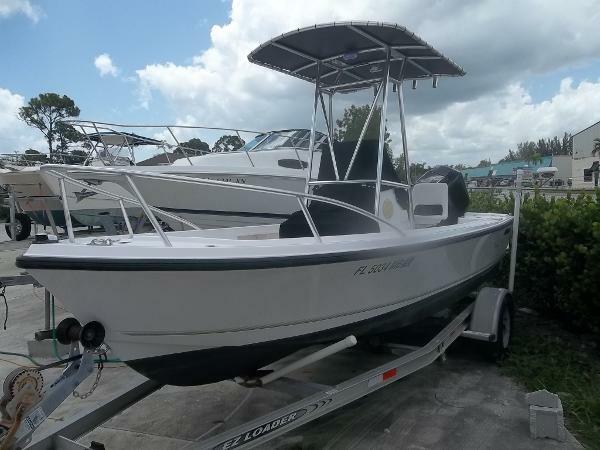 1997 Mako 172 Center /2002 4STROKE115 HP 4- STROKE. 2002 Mercury 115 H.P. FOURSTROKE. 4 STROKE. THIS IS A YAMAHA BLOCK, NEW HEAD IN 2016. RUNS PERFECT. JUST HAD 100 HOUR SERVICE..2006 ALUMINUM STEP TRAILER. CLEANEST MAKO ON THE MARKET!!! GPS WITH CARTOGRAPHY. FISH FINDER/ DEPTH FINDER. VHF. CD STEREO. T-TOP. SWIM STEP WITH LADDER. CONSOLE COVER. FRONT SEAT COVER . In one form or another, the Mako 181 has been around from the beginning. She's been around and she's done a lot: from a Florida bonefish flat to casting for bluefish off Massachusetts or plugging the sod banks of New Jersey. The 181 performs equally well for the angler, skier and diver. The 181 is packed with fishing features like vertical console rod storage and built-in drink holders; a large casting deck with storage underneath; a livewell and under-gunnel rod storage. Her square transom keeps everyone close to the fishing action and allows for maximum use of interior space. She is stable, foam-filled and self-bailing. She carries 45 gallons of fuel and performs beautifully and is an unbeatable value with a lighter engine. Easy to trailer, easy to maintain, and with great fuel efficiency, she's trimmed with Mako quality throughout. 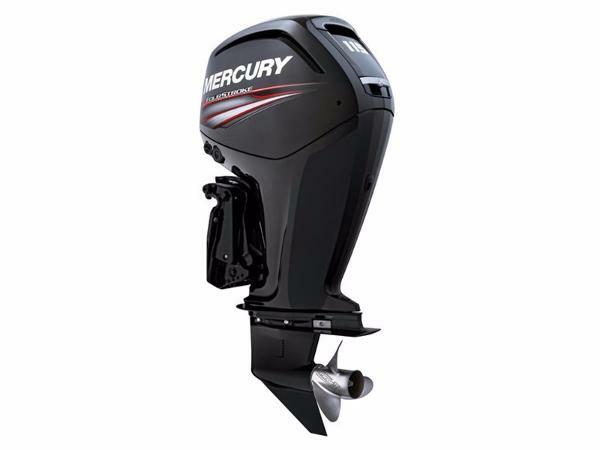 2015 Mercury 115 HP ELPT 4 stroke Pro XS MERCURY,,Mercury,115 HP ELPT 4 stroke Pro XS CPO (certified pre owned) with 1 year factory warranty,Mercury 115 HP ELPT (electric start, long shaft, power tilt and trim) 4 stroke outboard motor. The smaller the fuel particle the better the combustion. Our Direct Injection system sends a mist of microscopic, atomized fuel and air particles directly into the cylinder. Eight-nine times smaller than the diameter of a human hair, these fuel particles burn quicker, cleaner and more completely producing fewer emissions, better fuel economy and more responsive performance. 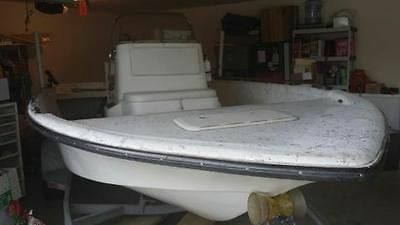 2001 Bay Stealth center console 18.8 boat had some crack looks, trailer park is not working good, new tires + spare tire. Yamaha 115 HP 4 Stroke 85 hours. More information please call 281-709-7999 . 2012 Hurricane 188 Sundeck, Yamaha 115 HP Four Stroke Engine, Stainless Steel Package (all hardware Stainless), SS Rub Rail, Sony Stereo Upgrade with 4 SS speakers, AM/FM CD & IPOD Connect, Stereo Remote at Swim Platform, Cockpit Cover, SS Bimini Top, Tilt Steering Wheel, Bow Fill-in-Cushions, Fishing Package(dual batteries, bow trolling motor harness swivel bow fishing seat livewell), Fresh water system w/swim shower, Single Axle Trailer w/Brakes, Swing Tongue, Diamond Plate step Pads. Loaded and in Excellent Condition.